Home » Blog » Badges » Badge Design » 2017 Season is over and you need our stinkin’ badges! 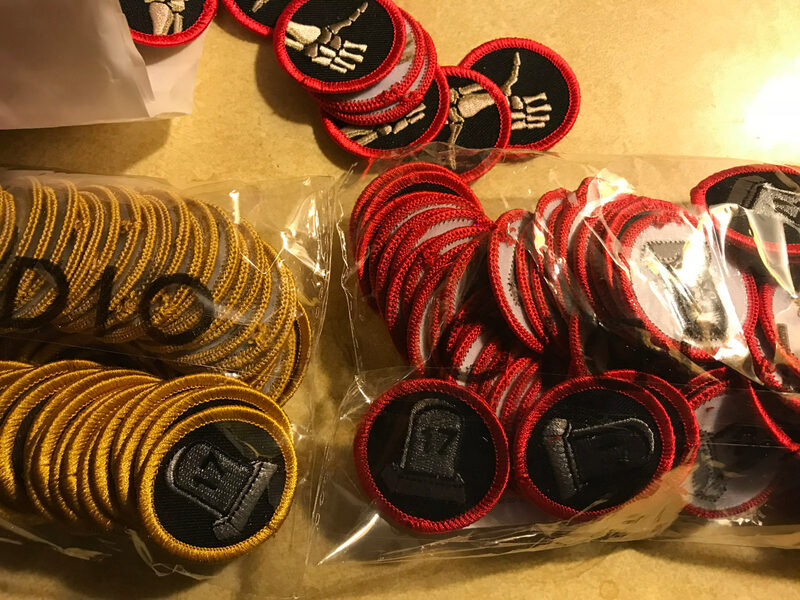 2017 Season is over and you need our stinkin’ badges! In May of 2017, we sent out a survey to haunters that we know and groups we are affiliated with. With a few simple questions, we gathered the results. It was clear that even though many haunts award their actors with food and trophies, both actors and management would like some sort of recognition for what they do throughout the year – whether they are working as an actor, setting up the haunt, or are part of the makeup crew. 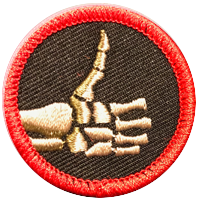 We have an idea, made some prototypes, and have awarded many of the actors in the haunts that we work in merit badges for their skills that they displayed this season. We made extras as well, and we can offer them to you now. 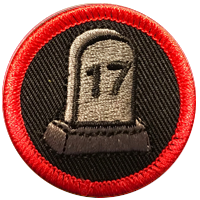 We have a few 2017 Most Dead-icated badges that you can present to your actors, management, and other staff at your haunt. They come in 2 versions – badges with a red border, and a golden yellow border. The red-bordered badges are for actors that worked more than 75% of your season. The gold-bordered badges are for actors that had perfect attendance for haunts that were open 6 or more nights this season. Next PostWhat are Scareit Badges? Recognition and Retention of your team!